Zirconia Exchange (ZEX) is our own inhouse zirconia processing, using our state of the art CAD/CAM Software combined with our new milling machines we are able to give you a great monolithic or layered Zirconia restoration. 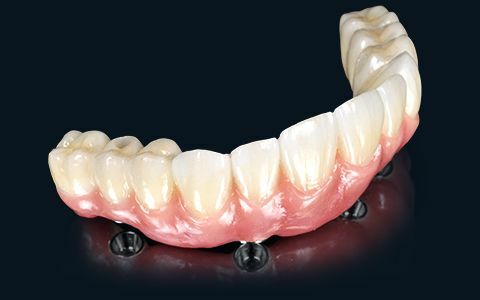 The Major Difference between conventional zirconia crowns and SE crown is coloring before sintering and finished products after sintering. We do not use the “dipping technique” for the coloring of the frame. We use multiple colors and hand paint with a brush to achieve the desired color. As a result, after sintering the color and the transitional colors are not monotone compared with conventional product. Our coloring system also allows us to produce the gradual translucency from gingival to incisal. The substructure to the ZEX crown is colored by brush painting, providing a fine color tone to the zirconia creating a depth color tone after porcelain is layered on. This process is cutomized to each individual case to enhance each individual color. With our unique coloring system, it is possible to achieve fluorescence to the frame before sintering. 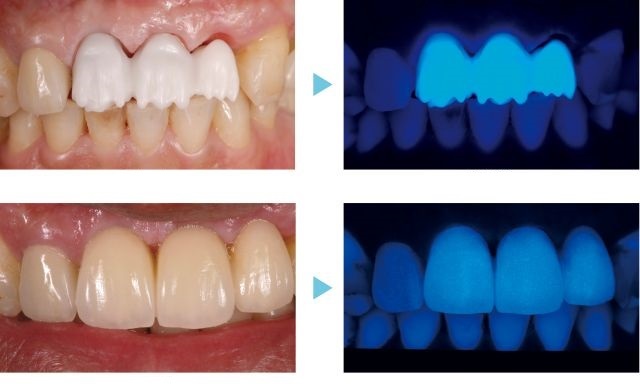 This eliminates the shadowing effect often found in the oral cavity and allows the creation of a prosthesis that gives natural lighting effects and soft tissue light transmission.